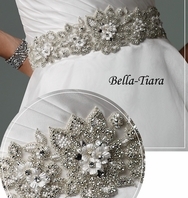 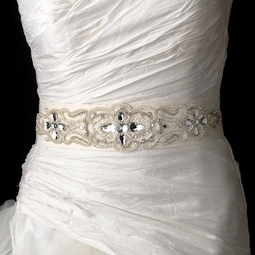 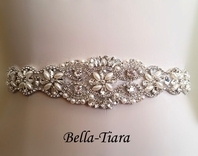 Pearls, Rhinestones & Beaded Wedding Sash Bridal Belt - SPECIAL!! 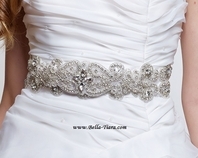 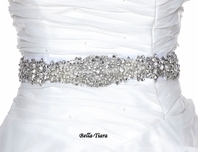 HOME / WEDDING ACCESSORIES / Belts Wedding Beaded Sashes / Pearls, Rhinestones & Beaded Wedding Sash Bridal Belt - SPECIAL!! 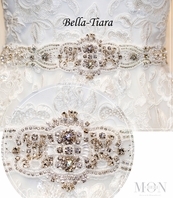 Description: Beautiful bridal belt or sash accented with pearls, bugle beads, faceted acrylic teardrop shaped stones and rhinestones.